Kidney failure is a major financial burden throughout the world. Renal failure and dialysis in particular are associated with an increased mortality risk and high medical costs. According to an article published in USA Today in 2009, dialysis cost the US $8.6 billion in 2007 and in 2006 20.1% of dialysis patients died. The only alternative that is available to dialysis at this time is kidney transplantation, a way to give patients with renal failure a new beginning. Kidney transplantation is a complex field that incorporates several different specialties to manage the transplant patient. Because patients with kidney failure frequently have other significant comorbidities, the workup for a potential transplant recipient can be quite involved. A potential transplant recipient often has significant exposure to blood borne infections like hepatitis, HIV, and many other potential pathogens. Patients often have severe hypertension or poorly controlled diabetes that has lead to their renal failure and yet others still have a history of heart problems. This book was created because of the importance of kidney transplantation. This particular volume focuses on the complexities of the transplant patient. In particular, there is a focus on the comorbidities and special considerations for a transplant patient and how they affect kidney transplant outcomes. In this book you will also find a brief history on the field of kidney transplantation as well as the ethical considerations in the field of transplantation. Next, the reader will find a section dedicated to special potential transplant recipients who require specialized considerations when contemplating transplantation. 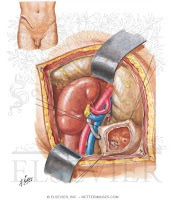 There is a discussion on the actual transplant procedure and potential for newer and innovative methods to completing a kidney transplantation. Contributors to this book are from all over the world and are experts in their individual fields. They were all individually approached to add a chapter to this book and with their efforts this book was formed. Understanding the Complexities of Kidney Transplantation gives the reader an excellent foundation to build upon to truly understand kidney transplantation.